Someone was getting the antediluvian jitters down at the Evening Standard today when they wrote this poster snapped at Waterloo station not an hour ago. 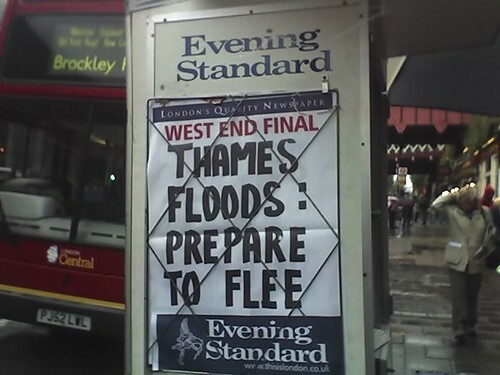 If the floods reach your flat, or more worrying mine, we’re all doomed. Please put my drinks cabinet on blocks though, just in case!